Building your brand and networking is the same online as it is offline. It’s just that a lot of people treat it differently, which I don’t recommend. If you take the time to develop relationships, new opportunities will come your way. If you scream into the void and don’t take the time to add value to others, even your successes will be short-lived. 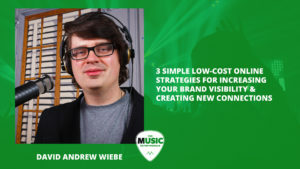 In this episode of The New Music Industry Podcast, you’ll learn how to show up in more places online without expending a ton of effort. Tired of posting to social media only to hear crickets? Can’t seem to get any traction with your online marketing efforts? Getting distracted by 100 different things you could be doing right now to grow your career or business online? What you need is a simple system to follow. And I’m about to share one with you. If you just do the following three things diligently and consistently, you’ll be surprised at what you accomplish. Not only are most people not doing these things, they keep going after the big wins instead of understanding how small, daily wins can get them to where they want to go. So, let’s look at three strategies to help you build your brand and create new connections. Do you read blog posts? Sure, you do. 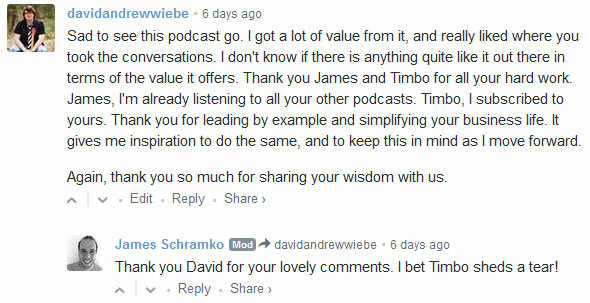 But how often do you leave a comment on a blog? Based on all the content I’ve published over the years, I’d say the people who take the time to engage are in the minority. Like maybe 1 to 2%. It might even be less. The interesting part about those who leave comments? They get remembered. Now, I’m not talking about messing up other people’s blogs with “good post”, “nice work”, and “thanks” type nonsense. That won’t get you anywhere. What you want to do is contribute to the discussion. Add value to it. And if you see an opening to help a community member or blog owner, do it. Help people to help people – not for any other reason. You’ll build new connections and relationships fast. You need not be self-promotional to make a connection with an influencer. Do this on blogs you’re already reading. Depending on the commenting system they use, this could even help you build links to your site. But don’t worry about that. Just become a part of the community. This will increase your visibility in a lot of places and help you leverage communities and audiences you didn’t even have to spend months and years building. Do you read books or listen to podcasts? Then you should be leaving reviews for every book you read and every podcast you listen to. Commenting targets blogs and online publications across the web. Reviewing targets major online platforms like Amazon and iTunes. Again, don’t be shallow or lazy. Give people honest feedback. Most people want a good rating. But if your three- or four-star review contains constructive criticism, content creators will appreciate that too. Be real, authentic, and selfless. The identity of the author has been protected in this review. But you can see how the constructive criticism would help them improve their writing (the actual review is longer). If you must rate something one or two stars, then think seriously before posting. Maybe it would be best not to talk about these things at all, because reviews increase the exposure of that product or podcast. If you don’t think other people should see it, maybe don’t review it. I do a lot of reviews of my own. But these are detailed, content-rich reviews. When it comes to reviewing books and podcasts, it will only take a bit of your time. All you need to do is put together three or four thoughtful sentences. Combining this strategy with others on this list is powerful, because the people you engage with will start to see you everywhere and know that you’re engaged. If you’ve ever wanted to build a relationship with an industry influencer, expert, or gatekeeper, this is a good way to do it. Okay, so Twitter is kind of on shaky ground right now and we don’t know what’s going to happen with it. Google has been buying up pieces of it, and will probably wind up with the whole thing at some point. Who knows what will happen once Google owns it? But what I’m about to share could apply to any social network you use. If you’ve been on Twitter for a while, you probably see a trickle of people following you on a daily or weekly basis. And, most of these people aren’t true followers, which is okay, but building on autopilot is time-consuming and not very effective. A few simple tweaks can make all the difference. 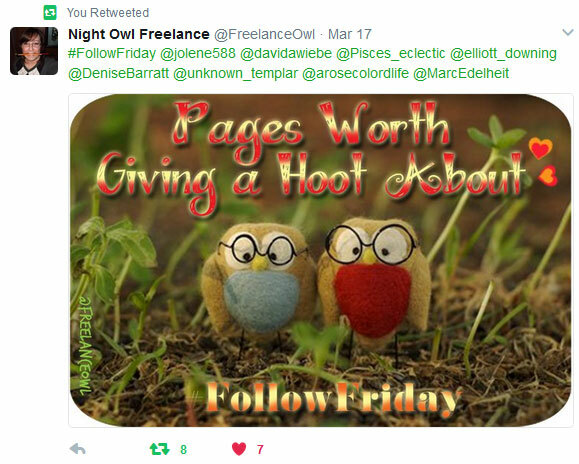 When people follow you, why not engage right away? Say “hi”, introduce yourself, and ask something about them. At worst, you won’t hear anything back. But in most cases, you’ll probably have a few exchanges, and this will increase your chances of engaging this person over the long-haul. Another thing you can do is “like” and retweet other people’s content. If you’re following them anyway, then take that extra step to let them know you want to engage. Again, this will increase your visibility and help you build more connections. 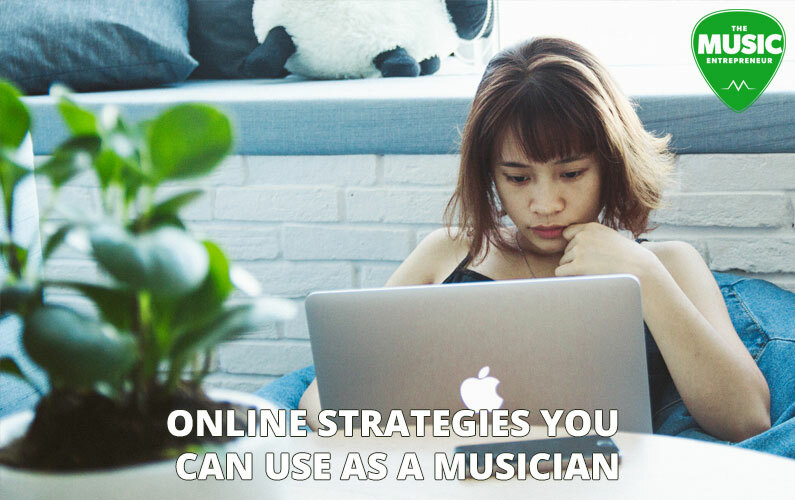 The above strategies needn’t cost you a cent. You can do all these things daily, and they don’t even have to take up much of your time. Imagine what you could do over the course of a year. If you left five comments on blogs, five reviews in online stores, and engaged five new people on Twitter every single day, you would be seen in 5,475 places you weren’t before! Even if you only did five of these things per day, you’d still be seen in 1,825 places. Try to stop the opportunities from coming your way! I know most of you will hear this and do nothing with it. That’s because discipline is hard, even if it will only take 20 to 30 minutes of your time daily. But if you act on what you now know about brand-building and networking online, and you keep at it over the long haul, I think you’ll see people reciprocate and want to bless you with opportunities. So, if you’re committed to yourself and your career, I would encourage you to give this a try.